LITTLE ROCK, Ark. -- A Little Rock police affidavit says the man accused of fatally shooting a 3-year-old boy fired his gun because he thought a car was following him too closely. Gary Eugene Holmes, 33, was arrested late Thursday in the Dec. 17 shooting death of Acen King. Acen, who was riding in the backseat of the Charger, was shot in the back and later died at a hospital. Holmes is being held on a preliminary charge of capital murder and two counts of committing a terroristic act. The girlfriend said she and Holmes didn’t realize he had shot someone until the next day. Holmes pleaded not guilty to the preliminary charges and was ordered jailed without bond after a brief video arraignment Friday morning. Court records do not list an attorney who can speak on his behalf. 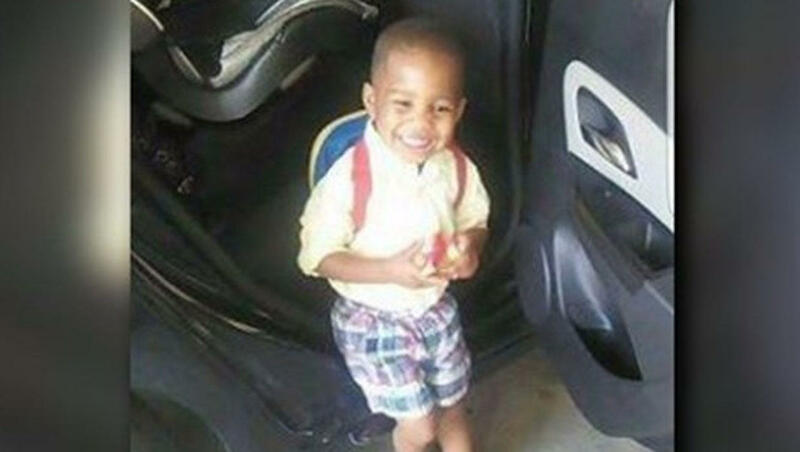 Police said Acen was on a shopping trip with his grandmother when he was struck by gunfire. The boy’s grandmother, Kim King-Macon, told authorities that she had stopped at a stop sign in the pouring rain when a man honked his horn, then got out of his car and fired a gun. King-Macon and a 1-year-old child who was also in the car were not injured. Little Rock police on Thursday contacted a fugitive task force that includes the U.S. Marshals Service seeking assistance in finding Holmes, Kaplan said. Authorities reached out to family members who arranged Holmes’ surrender, Kaplan said. The FBI and the city of Little Rock offered a $40,000 reward in the case. CBS affiliate KTHV reports the 3-year-old’s death is the second child fatally shot in a car within a month and the 40th homicide on the year for the city.